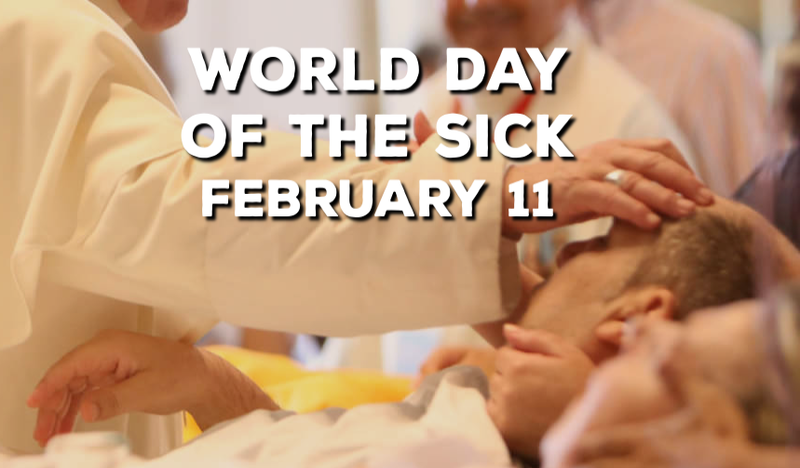 Sunday Feb. 11 is World Day of the Sick, an observation introduced by Pope John Paul II as a way for believers to offer prayers for those suffering from illnesses. The day coincides with the commemoration of Our Lady of Lourdes and is an important opportunity for those who serve in Catholic health ministry to reflect on caring for those who are sick as well as those who provide care to them. Immediately after the 10:45 am Sunday Mass and the 12:30 pm Mass, priests will be available for the Anointing of the Sick.